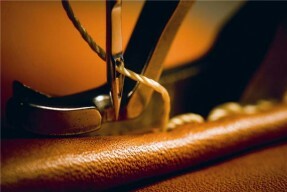 Townsend Leather offers upholstery and re-upholstery services through its affiliate companies. We are capable of taking on both large and small projects, with a special expertise in the aviation industry, and in particular, private aircrafts. Our attention to detail and years of industry experience ensure a quality job every time. For more information on our services, please email: info@townsendleather.com. See Our Leather Browse our leather, build a lightbox to save & share, and order samples.